It is a structure hard to be missed – a building with remarkable architecture and a bronze statue of a dhoti-clad man. 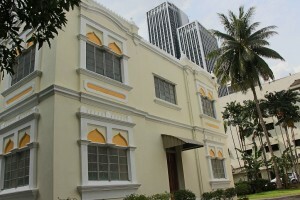 The Vivekananda Ashrama, located in Jalan Tun Sambanthan, Kuala Lumpur is an institution started by the Jaffna Tamil immigrants from Sri Lanka in 1904 in honour of Swami Vivekananda (1863-1902), a monk who came to Malaya in 1893 and was well-known for his Vedantic teachings to the west. The ashram, which was said to be part of the Ramakrishna Missions, was dedicated to Vivekananda’s work in providing education and spiritual development for the youth. The 110-year-old building has been a venue for a variety of arts and cultural programmes. Swami Vivekananda was the foremost disciple of the 19th century Indian mystic Sri Ramakrishna Paramahamsa and a world spokesperson for Vedanta. He was India’s first spiritual and cultural ambassador to the west who went to represent the religions of India at the World Parliament of Religions, held at Chicago in connection with the World’s Fair (Columbian Exposition) of 1893, where his speech is said to be uniquely Vedantic. Jawaharlal Nehru, the first prime minister of India, refers to this universal dimension of Vivekananda in his Discovery of India. “Rooted in the past, and full of pride in India’s heritage, Vivekananda was yet modern in his approach to life’s problems, and was a kind of bridge between the past of India and her present,” Nehru said. It has been a struggle to preserve the site in the midst of the changing modern landscape surrounding it. 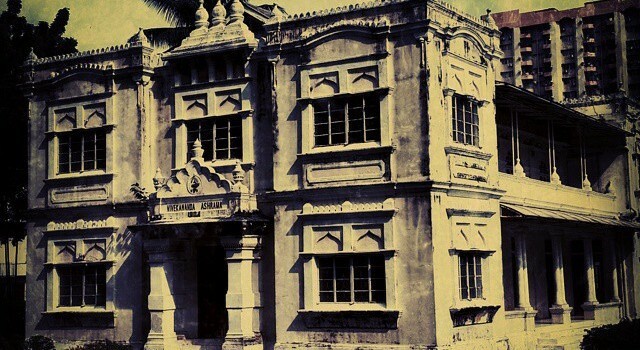 The site currently holds the main building, a hostel and a partially-constructed Sangeetha Abivirithi Sabha auditorium, which was never fully completed since the 1970s due to financial constraints. This astonishing building has survived destruction several times as its trustees attempted to sell the land thrice in the past three decades, but failed due to public protests and debates on the conservation and preservation of the building. The building was originally identified as a Category 2 heritage building in the Draft KL 2020 Local Plan. According to the plan, Category 2 includes “buildings of significant historical and/or architectural importance which have not previously been gazetted principally because they are or were not more than 100 years old and therefore fell outside the provisions of the Antiquities Act”. It said that “it is likely that most, if not all of these buildings will be gazetted in the future under the National Heritage Act”. Last year, the Heritage Commission initiated action to gazette the building as a heritage asset of the city. Heritage commissioner Dr Zainah Ibrahim said the department has notified the ashram trustees on the Government’s intention to gazette the building in June as per Section 31 of the National Heritage Act 2005. She said that the decision was made after hearing from related parties and notifying the trustees of the intention, as well as informing them of the dos and don’ts. The commission proceeded to file a notice with the Land Office to designate the site as heritage and the Kuala Lumpur City Hall (DBKL) was also notified of the intention. The Heritage Commission heard appeals in June from stakeholders and the ashram trustees in Brickfields on the proposed development of the century-old building. The gazetting of Vivekananda Ashram as a national heritage site, which will safeguard the building against future development and possible demolition, was due to the public outcry on the news of the impending redevelopment at the site of the iconic building. The government was urged to intervene and stop the trustees from allowing the project and following the protests, the Government, through the Heritage Commission, notified Vivekananda Ashram of its intention to designate the building as a heritage site under Section 27(2) of the National Heritage Act 2005. However, the ashram’s board of trustees rejected the Government’s proposal. The trustees had first tried to sell the land about 26 years ago and made another attempt 11 years ago for RM15 million but both were aborted after public protests. After the most recent plans were revealed, more than 100,000 signatures were collected in opposing the redevelopment of the ashram. 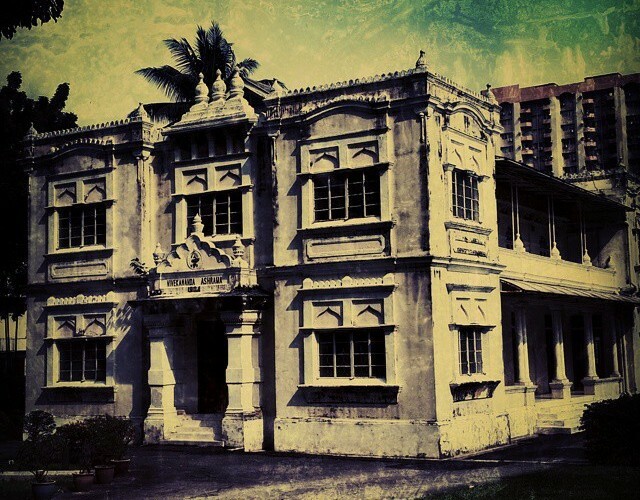 Last October, the Dewan Rakyat was told that the Vivekananda Ashram will be gazetted as a heritage site. Tourism and Culture Minister Datuk Seri Mohamed Nazri Abdul Aziz said Heritage Commissioner on July 15 had made the decision under Section 31 of the National Heritage Act. He said that the site owners and DBKL was informed on the decision and the process was underway. For this, the caretaker company of the ashram filed for judicial review, naming the National Heritage Department, Zainah and Nazri as respondents. The company wants a certiorari order to invalidate the department’s decision on the gazetting of the area surrounding Vivekananda Ashram as a heritage site under the National Heritage Act 2005. The company applied for a declaration that the area surrounding the building in Brickfields is not to be defined as a natural heritage or cultural heritage and would only allow the Vivekananda Ashram building to be gazetted as a heritage site. In Feb this year, the High Court dismissed the application for leave for a judicial review and declared that the 110-year-old Vivekananda Ashram building and its surrounding land will remain a heritage site. Attempts to redevelop the site have also been opposed by several other parties, including Badan Warisan Malaysia (BWM). Executive director of BWM, Elizabeth Cardosa said proposal for the redevelopment of the ashram is considered as taking a step backward in terms of heritage conservation. She said that development on the site contributes to the escalating erosion on the heritage character and identity of Kuala Lumpur in general and Brickfields in particular. However, the ashram’s chairman Tan Sri Dr K. Ampikaipakan said that land was planned to be sold to allow the ashram’s trust, which owns and manages four schools – SJK(T) Vivekananda, Brickfields, the Vivekananda primary and secondary school in Kuala Lumpur and SJK(T) Thamboosamy Pillai in Sentul, to be able to serve the community in the true spirit of Vivekananda’s teachings. “People talk about the ashram’s symbolic value all the time, but the reality is we don’t even have the money to paint the building,” he said. He said that the trust aims to provide education and it supports children with tuition, transport and food. He added that the ashram building would be upgraded and the trust is looking at engaging an architecture company. Ampikaipakan was reported saying that the main building will be retained in its original form while new developments will be built above and around it to raise sufficient funds to run its four schools and for charity purposes. He also stated that the Heritage Department would not have sufficient funds to maintain the building. This has been disputed by Zainah, who stated that as a heritage site, the Ashrama could generate income from entrance fees. Currently, the Ashrama is not in a state that is fit for public use. However, the building is certainly a historical icon of the community. Ampikaipakan also disputed the age of the buildings, saying that no one can really verify its age. “People claim that it is 110 years old, but we don’t really know that,’’ he argued. “We are only estimating the period, but the grant for the acquisition of the land shows that it was registered in the 1930s,’’ Ampikaipakan pointed out.